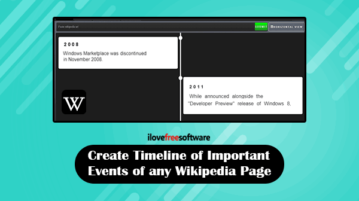 TimeFunction is a free service to automatically create timeline of important events of any Wikipedia page. Create timeline in vertical or horizontal order. This tutorial covers how to see Wikipedia summary for selected word on any webpage. When you select some word and if Wikipedia article exists for such word, then a pop-up is displayed which shows the Wikipedia article summary for that particular word. You can do this using a free Chrome extension, known as “Qikipedia”. 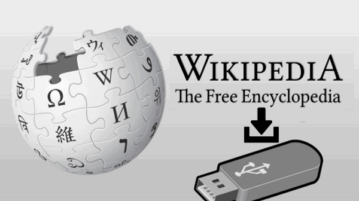 Learn how to download mini Wikipedia offline to carry around in flash drive. You can use mini Wikipedia with 24000 mages and 14 million words. This tutorial is all about how to use Wikipedia offline from a USB flash drive. You can download the entire Wikipedia and use it anywhere you want offline. 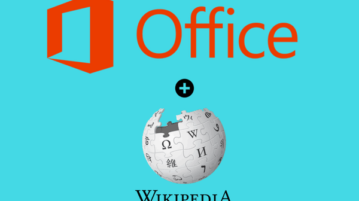 Here is a Wikipedia add-in for Word and Excel to search Wikipedia content inside documents. You can also use it to add content and images from Wikipedia. 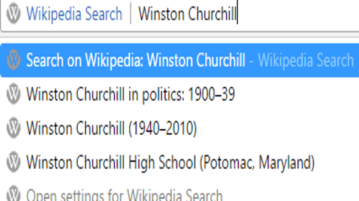 This tutorial explains how to search for Wikipedia articles from Chrome URL bar. 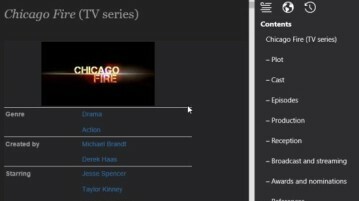 Type Wiki and then press spacebar to search Wiki articles. 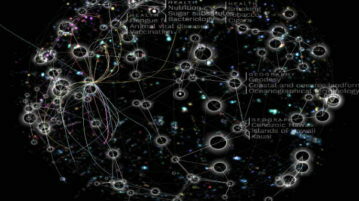 Wikiverse is a free website with 3D visualization of Wikipedia. It also shows the list of 25 most read articles on Wikipedia for the current week. 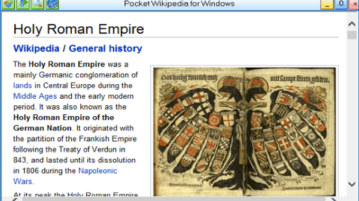 Wikio is a free Windows 10 Wikipedia app with a beautiful and simple user interface to browse content. Check out this Windows 10 Wikipedia app here. 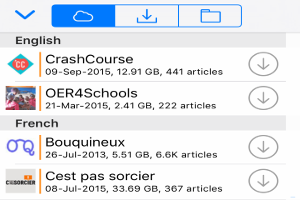 Kiwix is free iPhone app to search and read Wikipedia content offline. It supports more than 100+ content languages and book packages. 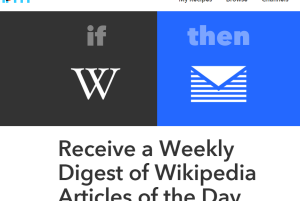 Here is a IFTTT recipe to get the weekly digest of Wikipedia’s Article of the Day in your email. 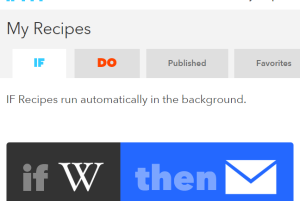 You can get email alerts whenever a particular Wikipedia article is edited using IFTTT recipe. Handy to remain updated about the article of your interest. 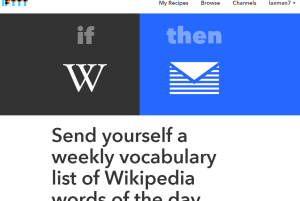 This tutorial explains how to get weekly vocabulary list of Wikipedia word of the Day in an email. 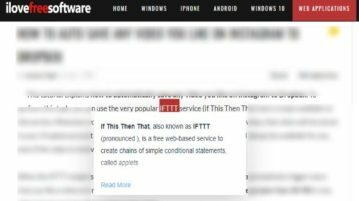 It can be done by using the IFTTT website and its recipe. 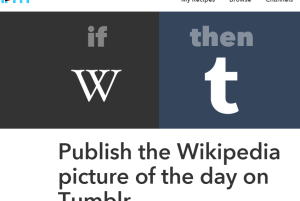 This tutorial explains how to automatically post Wikipedia Picture of the day to your Tumblr blog using IFTTT and its very simple recipe. 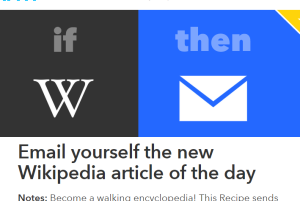 This tutorial explains how to get Wikipedia Article of the Day in your Gmail inbox using the IFTTT recipe. You can also use any other email service account.